An MCN reader took matters into his own hands when the local council refused to provide more motorcycle parking spaces – by painting his own bay. He painted a space for one motorcycle and carefully added the letters ‘MC’, only to realise there was no way he could park his bike in it. “It would be a bit obvious who did it,” he explained. The reader, who did not want to be named, took the radical step after a council parking official put down the phone on him. He said: “I phoned to ask how many motorcycle bays there are in West Malling and why there aren’t more, considering we’re green and pay taxes. They were extremely evasive to the point of hanging up on me. “They were round taking pictures of the bay this morning,” he added. 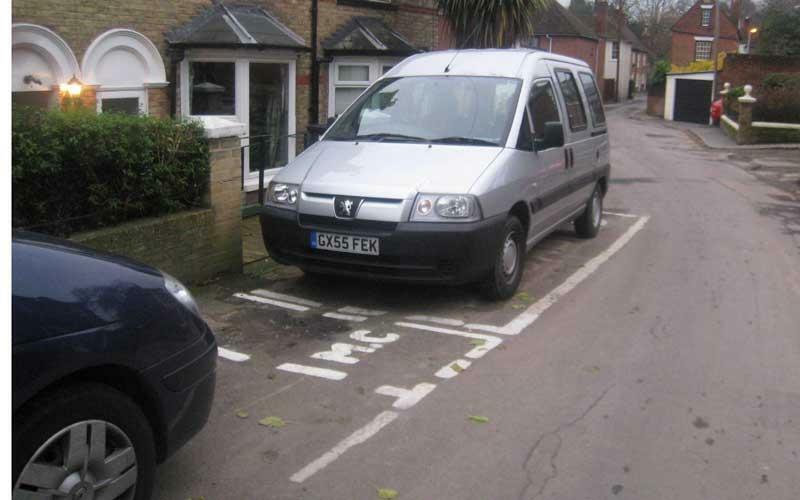 A spokesman for Kent County Council said he did not know whether the space would be removed. On my way home from work I decided to stop off at Tesco Pollok (Glasgow) for a wee bit of shopping.